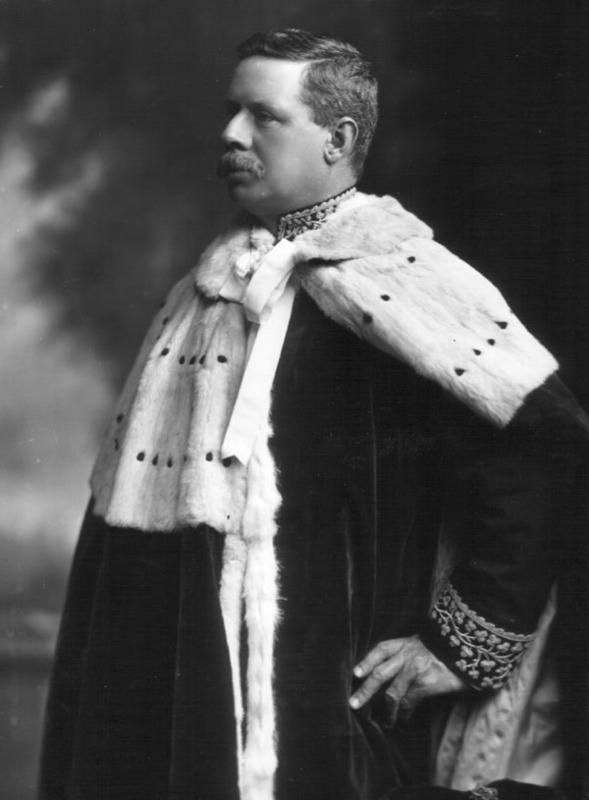 Robert Shapland George Julian Carew, 3rd Baron Carew (1860-1923). Sitter: Robert Shapland George Julian Carew, 3rd Baron Carew (1860-1923). Biog: Liberal Unionist Peer & Irish landowner. Costume: Peer's Robes over Dress Uniform, Deputy-Lieutenant (Irish County). Furniture & Props: Painted backdrop; Jacobean Style Studio Chair. Biog: Burke's Peerage; The Complete Peerage, Alan Sutton, 1987; The Times, 30 April 1923, p. 9f.